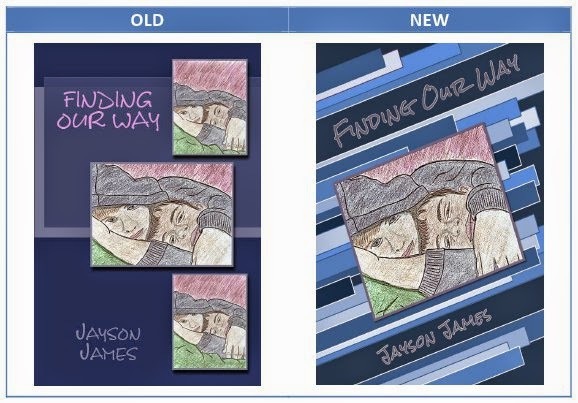 Today I am happy to hand the blog over to author Jayson James who is going to tell us all about his new cover's for his fantastic YA coming of age series, Finding Our Way. Thank you Tams for having me as a guest today at TTC Books and more! Today I would like to share with you something very exciting and been in the long time coming. At last, I finally have covers for the Finding Our Way Series books. Sure, they have been out for almost three years now and they’ve all had covers on them. Just not covers I have been all too thrilled about on them. When I put out my first book the cover, itself seemed to be more daunting than the editing process was. I had an image that I’d drawn and knew what I wanted the title to be and of course my name on it. I used the paint program and messed around with the adding the image and the text until I had it all fitting on what I thought was a book cover. Then I went to upload it and found the dimensions were wrong and a long story short, I went through several headaches and starting from scratch until I was able to come up with a halfway decent book cover. I eventually found a template that I was able to put my cover image into and make it look all nice and professional. It worked and they looked rather good. Being the protectionist I am they were not good enough for me. Thus, I always wanted to change the covers. What has always been clear is people love the artwork. When I published, I was so nervous about sharing my artwork. So much so, I almost did not put it onto the cover. I have reviewed more emails praising, asking about and complimenting my cover art than anything from readers. 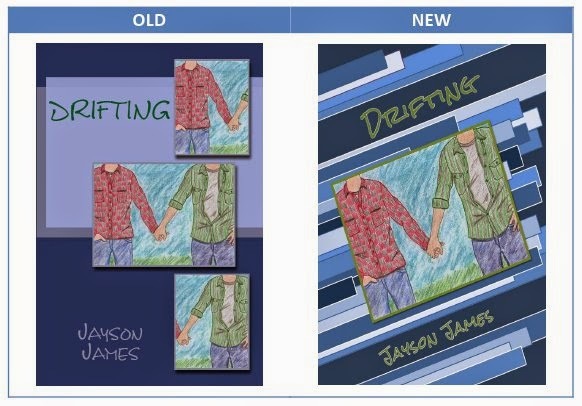 Even when I have talked about changing the covers, my friends, readers or anyone else has always made a plea for me to keep my artwork on the books. I decided over a year ago that no matter what the images for each cover was going to stay the same. Although I have been busily painting the cover for my new book, Pieces of Us coming out at the end of summer, dealing with edits and a schedule so crazy my head is spinning some days, I had an idea for what I wanted to do with the covers of my series. Without further ado, here are the new covers beside the old. I appreciate you taking the time to share in my excitement! I hope you enjoy the new covers and more so, I hope you enjoy the books! Thanks again, Tams for having me as a guest today! For as long as I can remember, I dreamt of becoming a published author someday. Though I was not sure what genre I wanted to write, I knew I liked to write and tell stories. Throughout the years, I have written various stories and shared them with my friends. A novel I had an overwhelming urge to write exactly a year ago would make this dream come true. When I am not writing, I enjoy drawing, reading, watching movies and socializing. 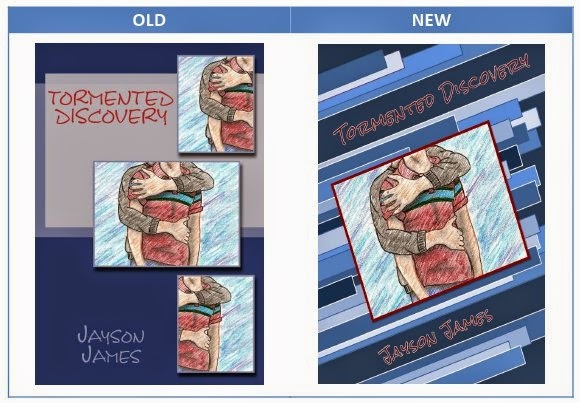 And thank you Jayson for stopping by today and sharing these fantastic new covers with us. I have to tell you, if you haven't read this series yet, you really should. It's so fresh and young and there is this raw realism to the writing. I found this video on youtube not too long after I finished Finding Our Way, and it really puts a visual to how I see Justin & Derrick. So young, naive and in love... it is really what this series is all about. I've had the chance to read a few of his shorts and I love them. I can't wait to read T.E.D.! Jayson James is one of my favorite authors and a talented artist. I think gets overlooked much too often. Jayson's unpretentious and I like how he doesn't try or even seem to care about being any part of the author cliques.